The new Landpower is powered with the new F.T.P. NEF 6-cylinder turbo engines. Equipped with air-to-air intercooler, the new engines comply with TIER 3 emission standards and deliver 117, 133, 141 and 157 HP (ISO ratings) providing exceptional torque and power levels. 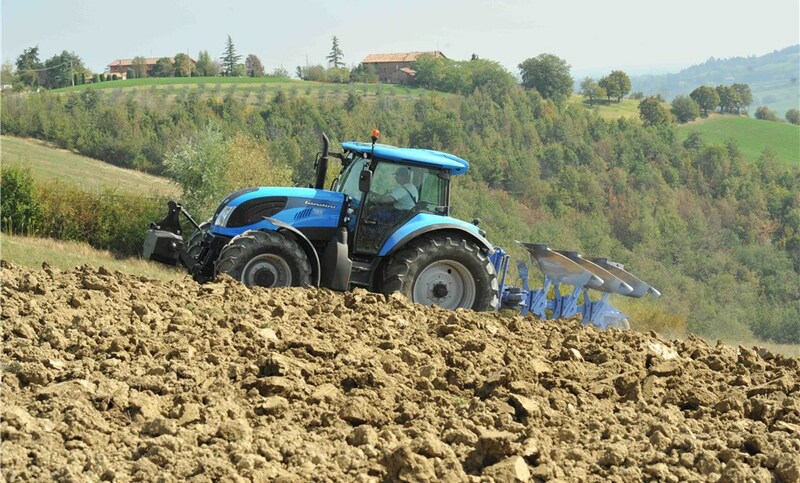 The Speed Six mechanical transmission can be combined with a creep option and a mechanical reverse power shuttle, with control lever fitted under the steering wheel, to achieve 36 forward and 36 reverse speeds, thus making the Landpower ideal for all open-field applications as well as for high-speed road transport. The hydraulic circuit features a maximum flow rate of 105 l/ min. The power lift with two additional cylinders provides a lifting capacity of up to 8400 kg. The system features 5 Bosch type auxiliary control valves for utmost versatility. 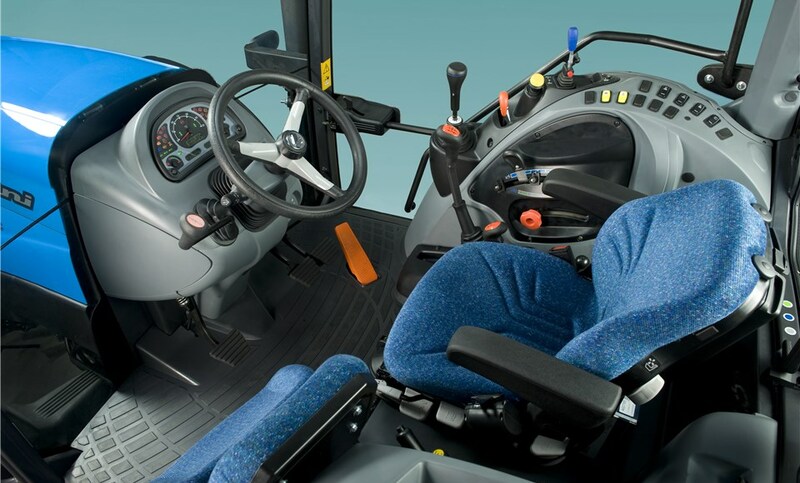 The new 4-post Master Class cab provides a comfortable driving position with ergonomically arranged controls. The air conditioning, installed on the cab roof, ensures the driver a safe and healthy work environment. 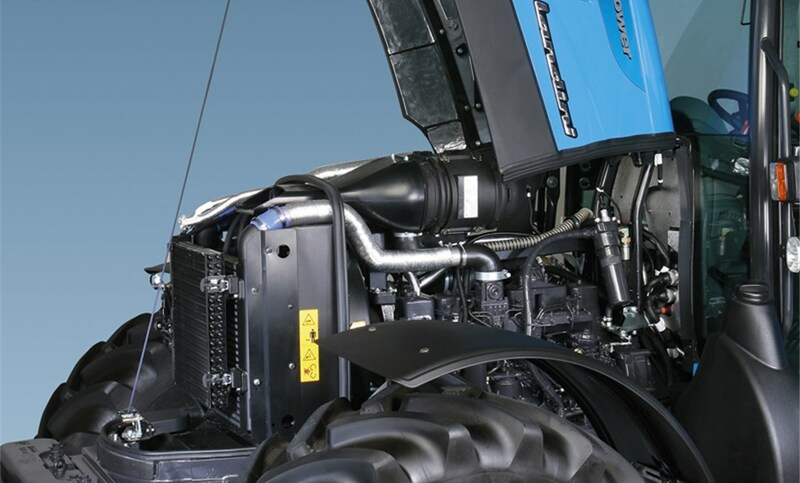 The plunging line of the hood reflects the Landini Family style, and the generously sized windows ensure an ultimate all-round visibility for enhanced manoeuvrability and driving comfort. NEW F.P.T NEF 2V SERIES TIER 3 ENGINES WITH NEW TILTING HOOD. 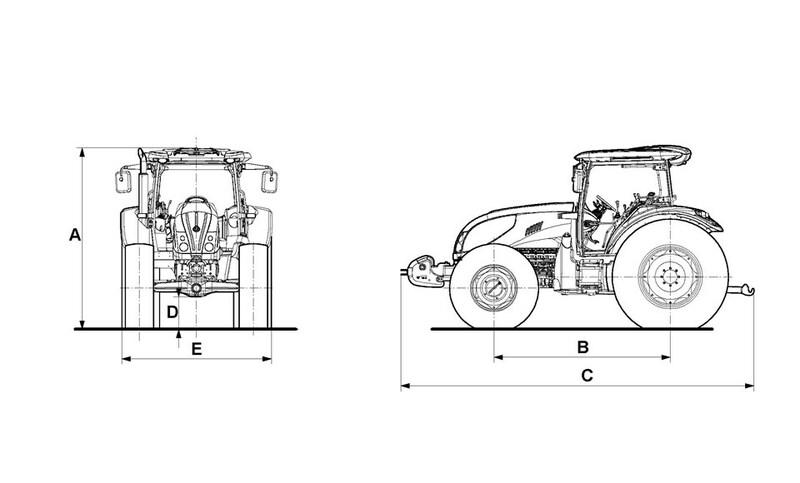 All LandPower tractors feature 6-cylinder turbo engines with air-to-air intercooler and mechanical injection system. Quiet and fuel-efficient, the nef 2v series engines meet the tier 3 emissions regulations and provide constant power and high torque backup for a great flexibility of use. The tilting hood provides easy access to the engine for routine service and maintenance. The Top-Tronic transmission triples under load the 36 speeds of the basic transmission offering a total choice of 108 forward 36 reverse gears. The Top-Tronic is activated with the green buttons integrated in the gear lever. 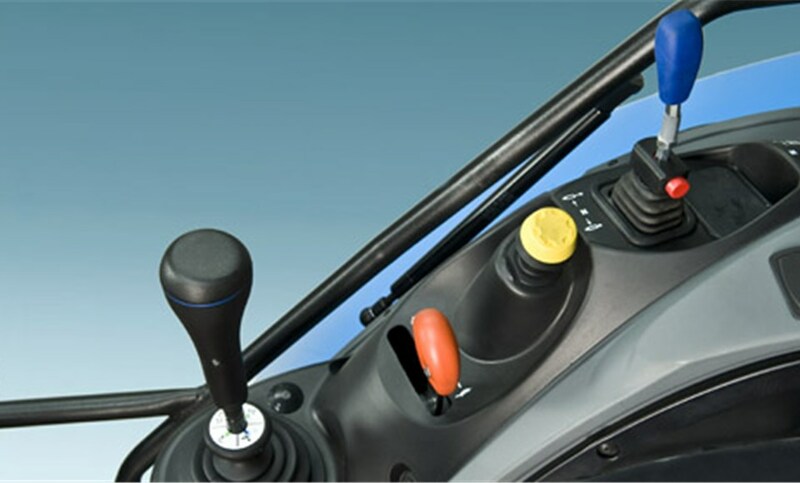 The de-clutch control (orange button on the gear lever) and the reverse Power Shuttle (lever under the steering wheel) enable clutch-less engagement and reversal of all gears. BUSINESS CLASS CAB WITH ROOF-FITTED AIR-CONDITIONING. The four-post Master Class cab with its generously sized, back-hinged doors, provides an outstanding all-round visibility . The optimum access to the driving area, the high quality of internal components, the design and the ergonomics of all controls together with the perfect sound-proofing maximize the driving comfort. The transparent glass window at the top increases the visibility when front loaders are used. The pneumatic seat, the adjustable steering wheel, together with the outstanding air conditioning system, make it possible to work for hours without getting tired..
Visibility when working at night is ensured by 10 powerful halogen. The hydraulic system provides a maximum total flow rate of 33 gpm (125 lt/min). 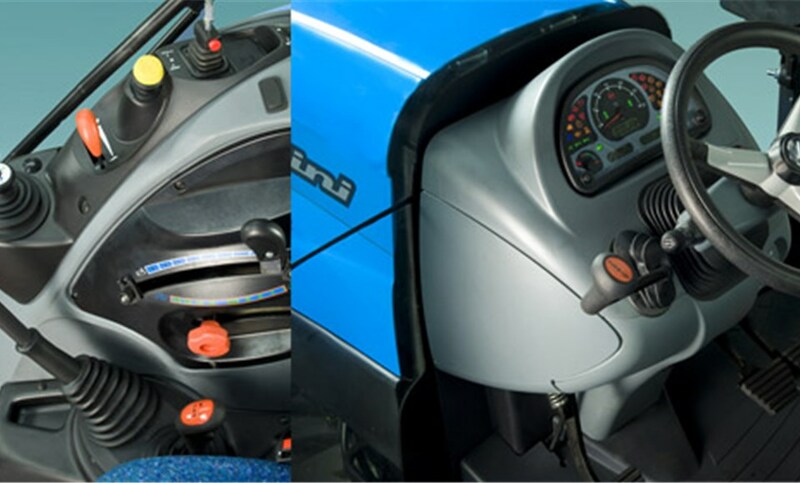 The system features 5 auxiliary valves of different type; controlled by joystick for front loader use (1); controlled by lever (2); with electrohydraulic flow diverter controlled by button (3). The flow diverter enables to alternately activate the right lifting rod, the top link or the valve itself, thus bringing the number of rear auxiliary valves from 5 to 7 for enhanced versatility and increased implement efficiency.